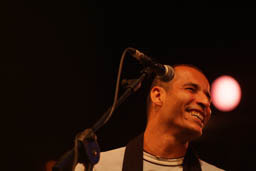 Photography and Journey: Morocco, Essaouira, Gnaoua Festival 2006, Gaada Diwane. 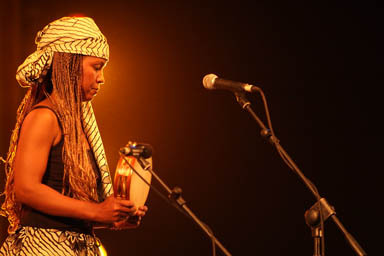 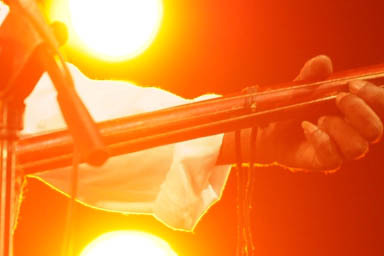 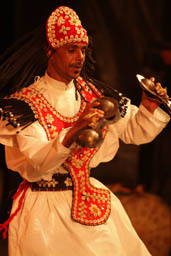 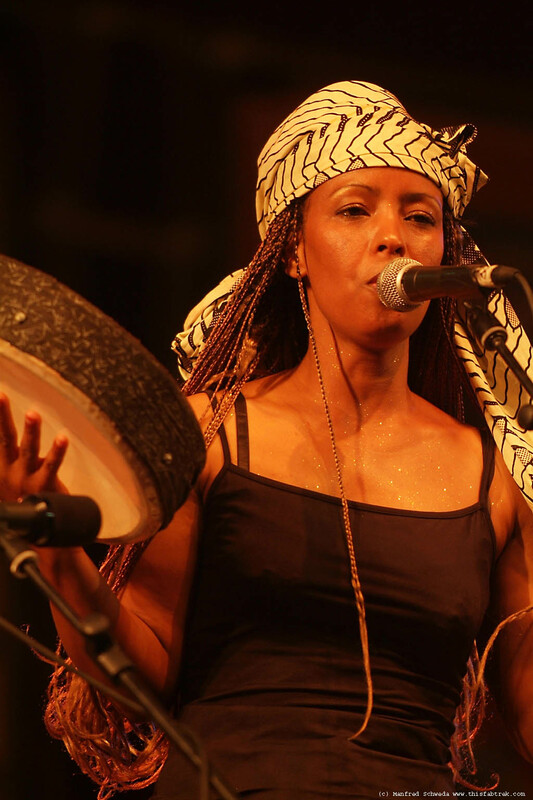 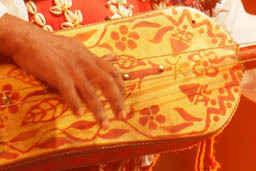 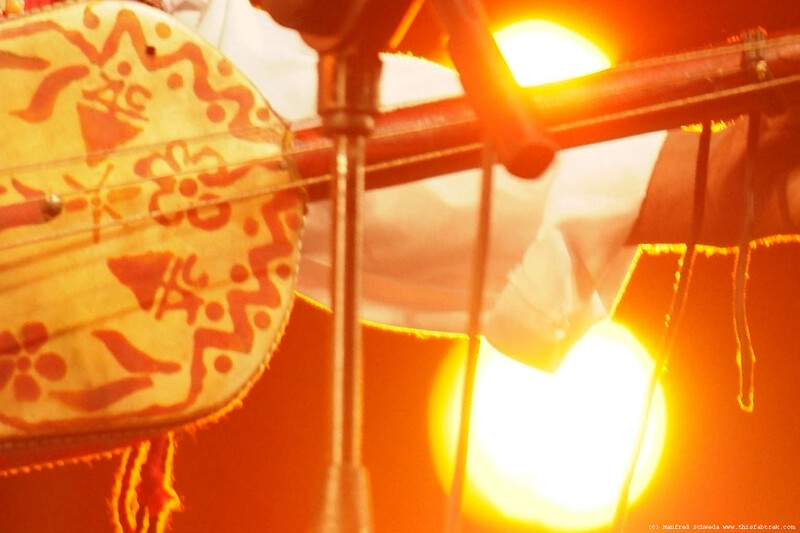 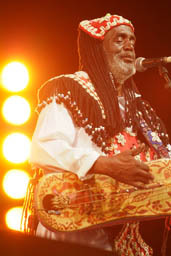 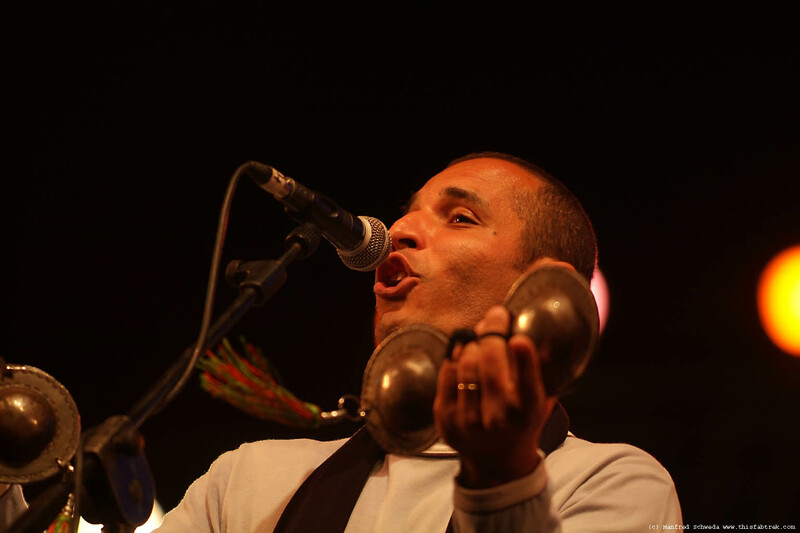 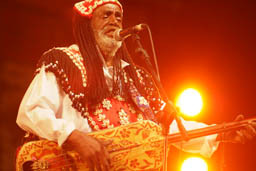 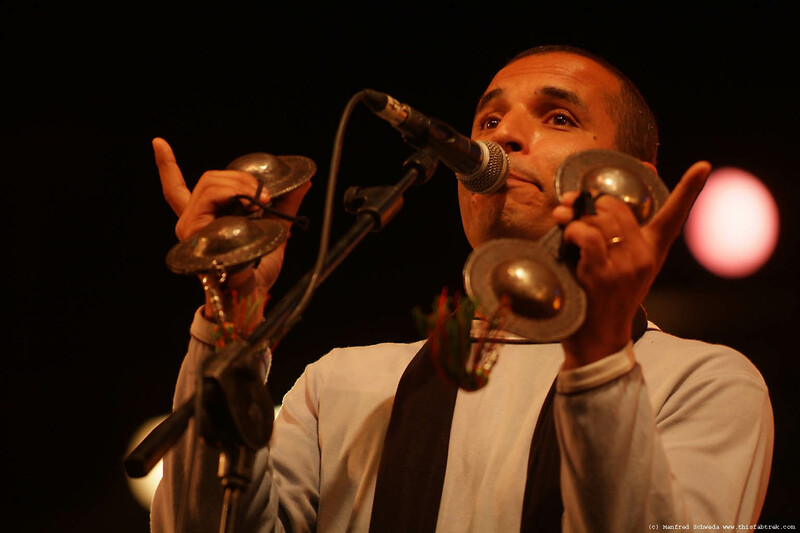 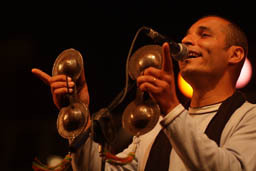 Gnawa/Gnaoua music was brought to Morocco by the ancestors of today's celebrated musicians, slaves, captured in Sub-Saharan Africa over the centuries. The word Gnawa most likely is being derived from the ancient trading empire of Ghana which covered parts of Mauritania and Mali. 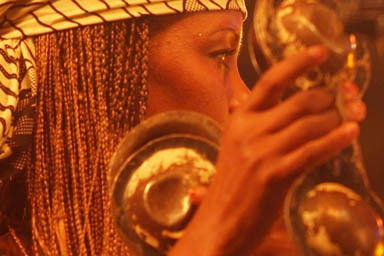 But slaves came frome all corners of Sub Saharan Afrika. 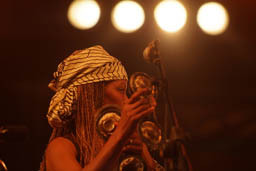 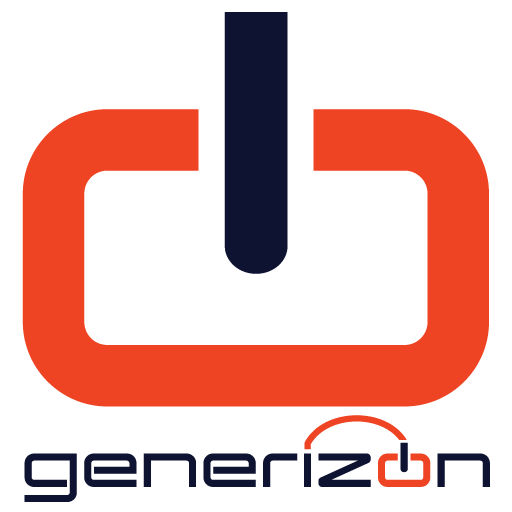 Guinea, Gambia, Tchad, Ghana etc. 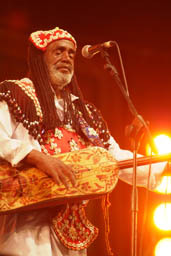 Maâlem Abdellah El Gourd (Tanger). 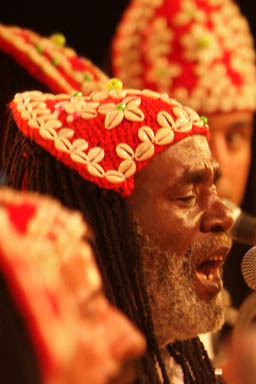 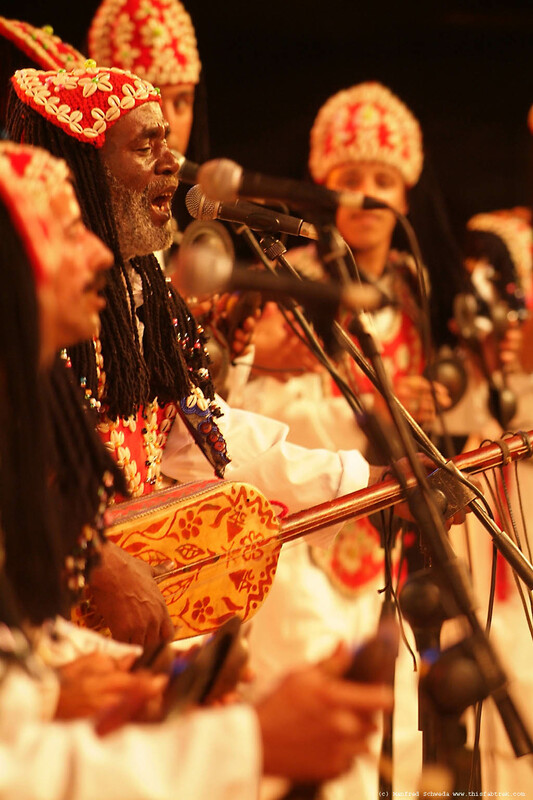 and his Dar Gnawa troupe. 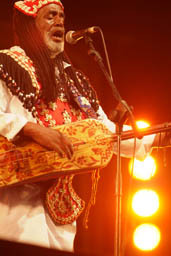 Gaâda Diwane de Béchar (Algeria). 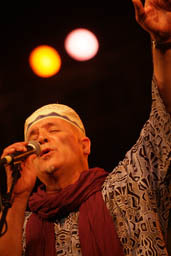 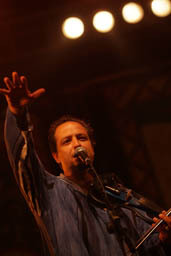 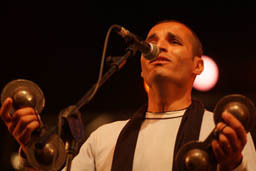 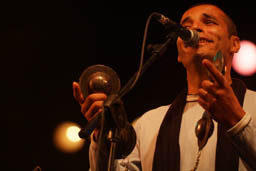 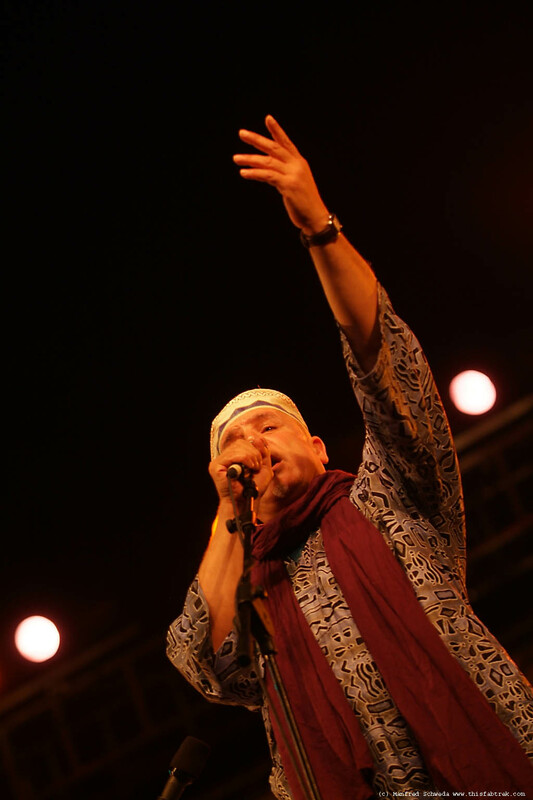 "Gaâda means get together, Diwane is a style of music which roots from South Algeria" Gaada.net. 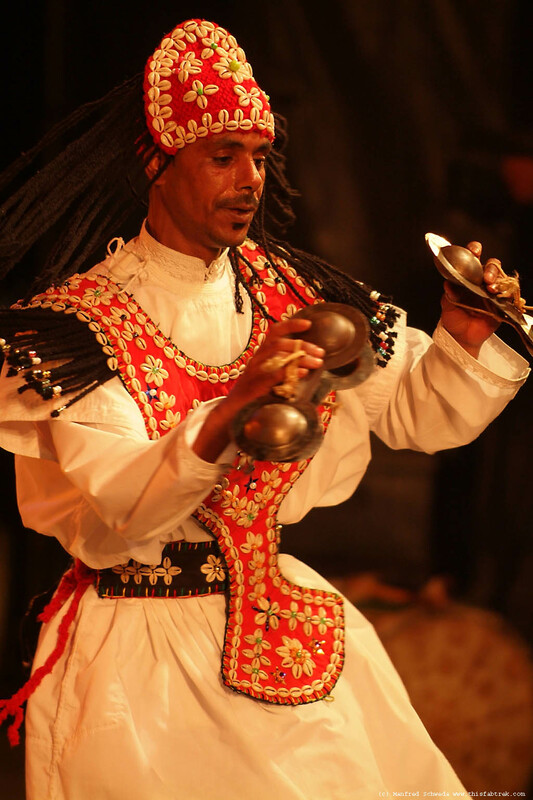 A bit like Gnawa but a different braket.